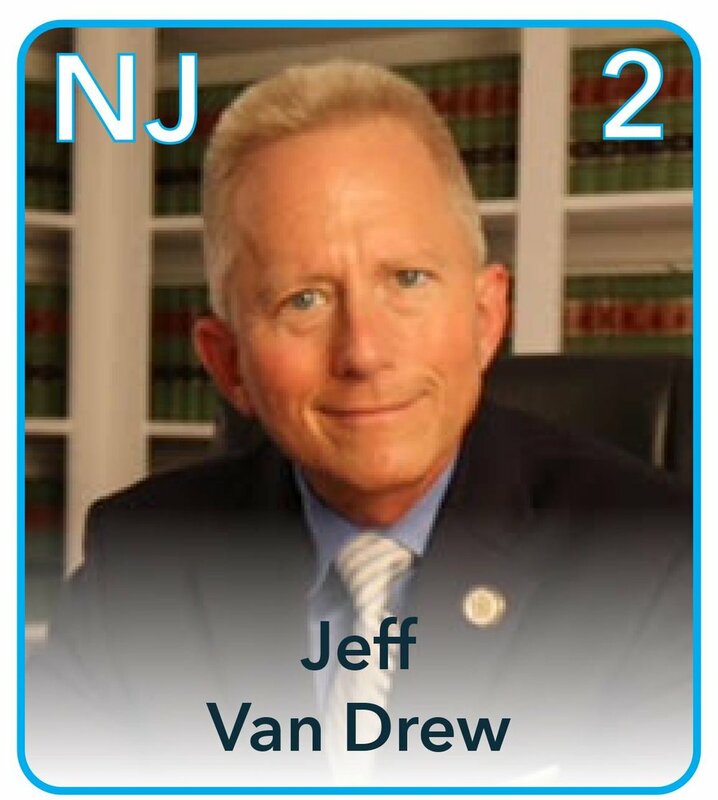 Jeff Van Drew is a small business owner in Atlantic County, where he has practiced dentistry for more than 35 years. He lives in Cape May County, where he is a life member of the Ocean View Fire Company. He is one of the most popular Democratic elected officials in South Jersey, regularly winning his Republican leaning Senate seat by double digits. Dr. Van Drew has sponsored legislation to address New Jersey's nursing shortage, provide protections against predatory lending and tougher penalties for those who use the Internet to prey on children. He has also sponsored several groundbreaking measures to assist New Jersey children with dyslexia and other reading disabilities. He is the sponsor of many of the state’s open space and farmland preservation laws, as well as measures to prohibit offshore drilling on New Jersey’s coast. Dr. Van Drew already serves approximately one third of the district in the State Senate, including all of Cape May County and portions of Cumberland and Atlantic counties, where he has garnered electoral margins of 35, 20, and 18 percent since defeating the incumbent senator by 11 percent in 2007. New Jersey’s open 2nd District represents one of the best opportunities in the country to turn a red seat blue. Rep. Frank LoBiondo is retiring and Dr. Van Drew is well positioned to succeed him. He is well known and well liked by voters in the district and has a history of performing on election day, but he needs your help!